We had a science project based on moss growing. We planted one day after delivery and just opened bag, used lights and magnifying glass to see different mosses. Excited about the outcomes of growth. We just numbered each differently, but wondered if you had a pictorial and label for each of the 5???? The variety, collection and money was spot on! The best package for the money! There are different species of moss, and each variety can be found in the wild. I love seeing moss in its natural form, growing in a thick carpeting on the north side of the tree. The ability to landscape with live moss is a fantastic way to cover those bare areas where shade is in abundance and grass just will not grow! Since it does not have actual roots, it is easy to harvest, and transplant. Moss Collection package is an excellent choice to get several different kinds of moss to try out in the desired garden or landscape area. Here are the varieties that are included with the purchase of this package. Carpet Moss is a great variety that will spread horizontally across any area, giving it the appearance of a carpet throughout. It is beautifully colored and will provide a lot of texture as well. Another selection that is included is Hair Cap Moss. 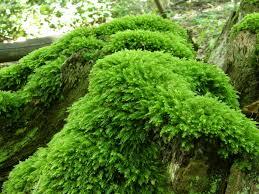 This moss is great for planting in areas that have items such as rocks or logs or stumps. It will grow and cover these, giving the area an aura of magic and mystery. The color is also lovely as it will be a combination of yellow and green all over. Cushion Moss is also included. It has the shape of a pincushion and grows in a hump pattern. It is ball-shaped and will be thick and lush when it rises. This moss is perfect for shaded landscapes and areas of the yard. Upright Moss is another one that is in this collection. It grows in a horizontal pattern and will have stems that grow upward. It will have an evergreen appearance. Any of these mosses prefer shade and moisture driven environments to help reach their potential. The collection also comes with planting tips on how and where to plant each specific moss. Give Moss Collection Package a try to sample a wide variety of the mosses offered at our online nursery.